Cinema has undergone huge changes in the last decade: Asian filmmaking has been making the running; the ne'er do well genre, documentary, has broken through; digitalization and DVD has revived film history and is revolutionizing projection; world cinema has shifted in the direction of the real and the visually grainy; and animation has become more dominant that any time since Disney. Month by month, in the acclaimed journal Prospect , critic and filmmaker Mark Cousins has charted and contextualized these changes. Writing from Britain, Europe, Iran, India and Mexico, he has looked at the social trends and aesthetic implications of modern cinema's shifting sands. 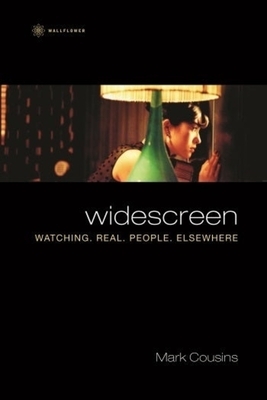 Widescreen: Watching. Real. People. Elsewhere is the result; a skeptical, passionate, eye-witness account of film today, argued originally and written with panache. Mark Cousins is a filmmaker and producer, film critic, broadcaster and festival director. He is the author of The Story of Film (2004), a highly acclaimed volume that has been translated into many languages. His documentary subjects have included neo-Nazism and the history of Iranian cinema. He is presently Honorary Lecturer in Film and Media Studies at the University of Stirling.